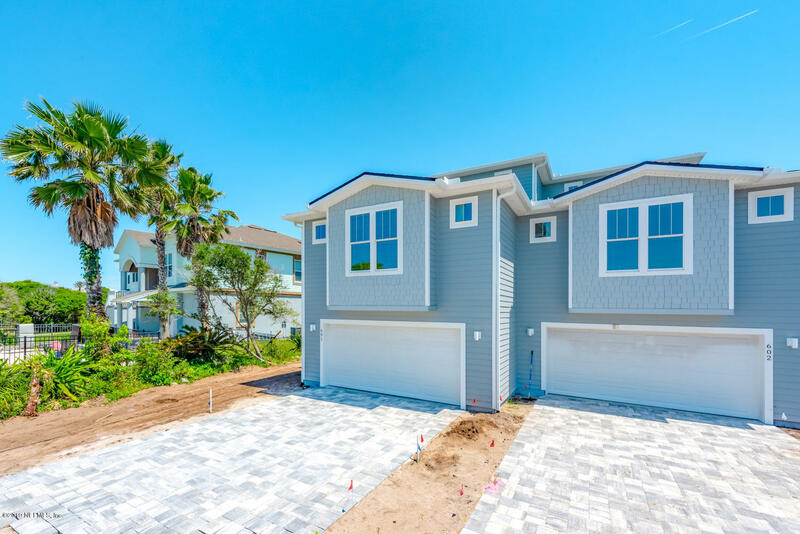 Stunning ocean views from this newly constructed townhome on Vilano Bch. This exceptional three story townhome is just a short walk to the beach and offers five bedrooms, four and a half baths, 3,301 sqft of luxury with 1169 sqft of covered lanai and designer touches throughout. The well-appointed kitchen boasts quartz countertops, upgraded cabinets, tiled backsplash, full stainless appliance package, double oven, microwave drawer, pantry, and a raised snack bar overlooking a sunlit family area.